Shopping for Animals Phone Accessories? Compatible with most iPhone and Android smartphone models, this adorable little animal will "bite" onto your smartphone to protect your cable while you charge the phone. 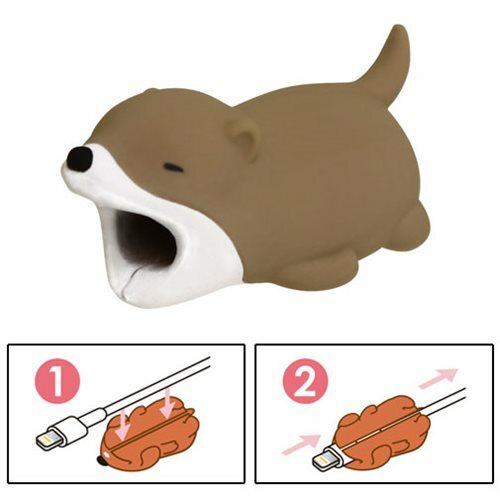 A cute charger charm, the Cable Bites Otter Cable Accessory measures approximately 1 2/5-inches long x 7/10-inches tall x 7/10-inches wide.